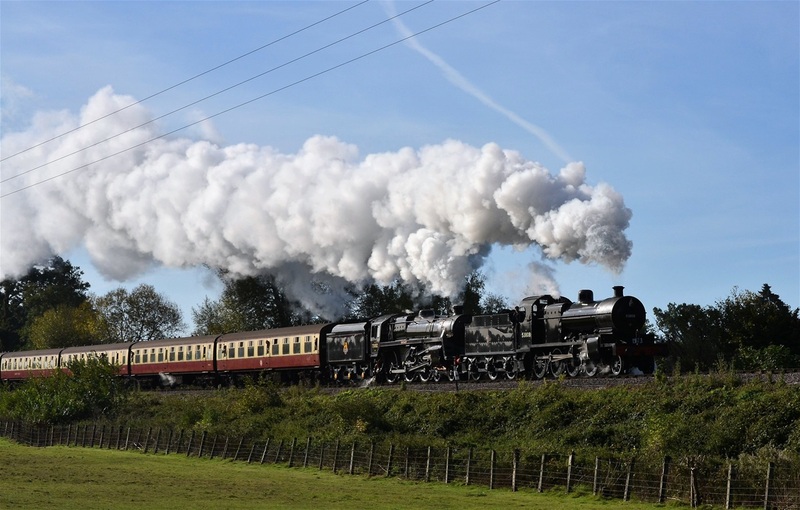 73082 Camelot is a British Railways Standard Class Five locomotive, which was built at Derby in 1955 and ran on the Southern Region of British Railways until 1966. 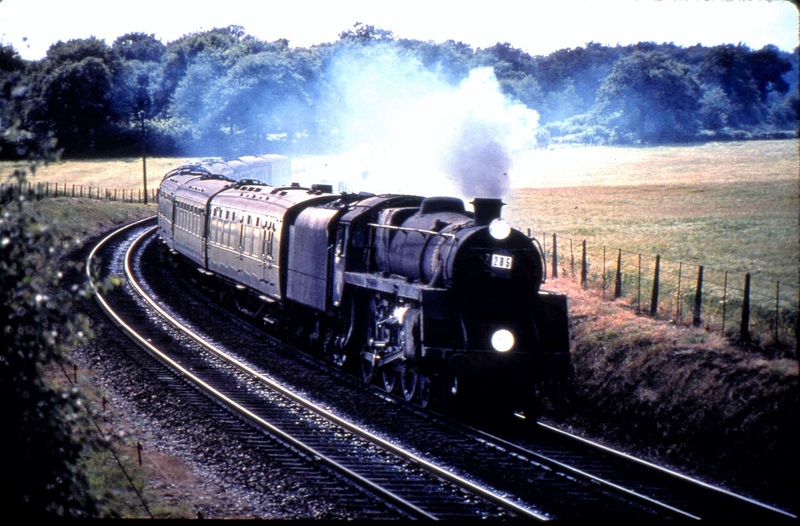 Until 1961, the locomotive ran on East Kent services. When these were electrified, she was transferred to work on South Western services. At that time, the name "Camelot" was given, taken from a withdrawn "King Arthur". Camelot was withdrawn from service at Guildford Locomotive Shed. Barry Island, 1967, R Butler. After withdrawal, Camelot was removed to Woodham Bros. scrapyard at Barry, near Cardiff. However, she was not scrapped and, along with many other withdrawn locomotives, remained in the yard, where her condition slowly deteriorated. 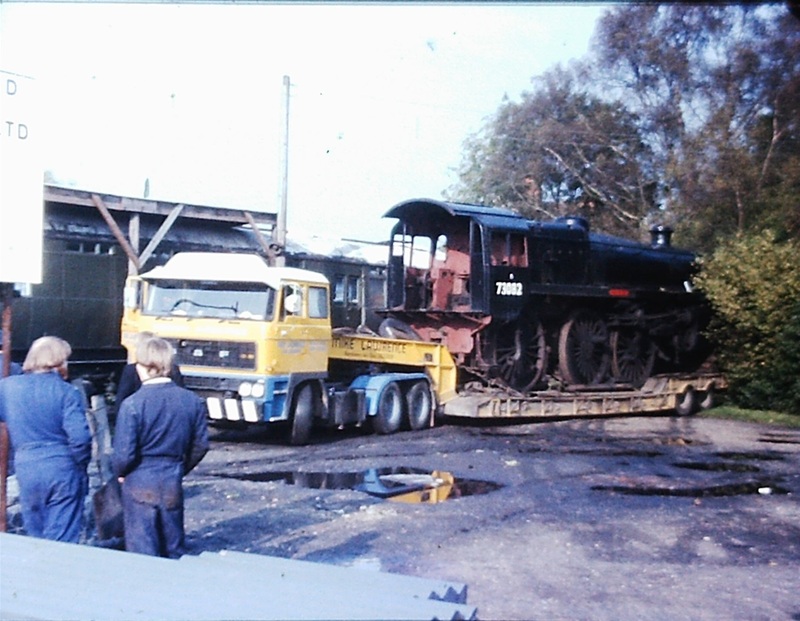 Sheffield Park arrival, S Desmond, 1979. The gentlemen in the foreground have lost some hair in forty years. The Society was founded in 1974 to purchase and restore Camelot. 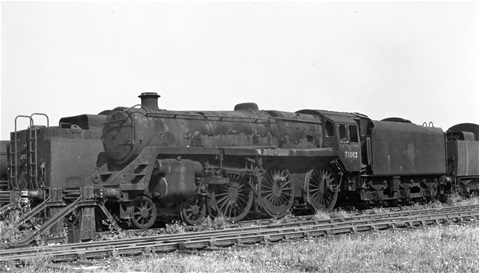 The locomotive was purchased in 1979, and, later in the same year, was taken to the Bluebell Railway. The locomotive arrived on the railway without a tender, because the tender originally attached to Camelot had been purchased by another group. The Society purchased a tender frame from a steel mill in Briton Ferry, where it had been used as an ingot carrier, so that a new tender could be constructed. Also purchased was a British Railways Mark 1 Covered Carriage Truck (CCT), to be used as a parts store. 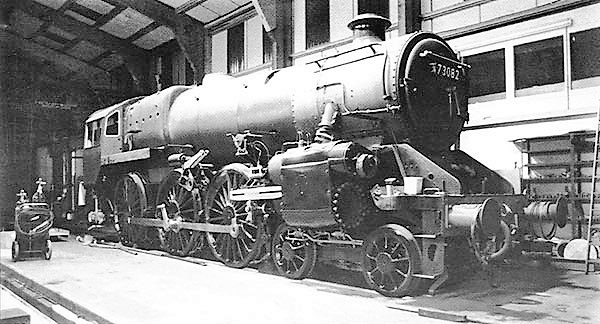 After arriving at Sheffield Park the Society started fund raising and restoration, beginning with repairing the tender frame and comissioning the construction of a new tender body by contractors. 73082 Camelot returned to steam in 1995, and was in regular service on the railway for nearly ten years. During this time, the Society worked to raise the money to pay for the next major overhaul. Fund raising was done through the Society's retail Sales Stand and Mail Order operation, and by the sale of shares in 73082 Camelot to Society Members. 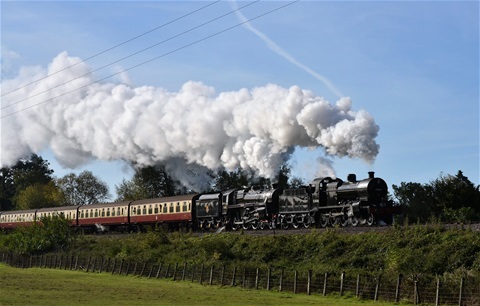 The Locomotive was withdrawn for a general overhaul in June 2005, but returned to service on 31 October 2015, at the "Giants of Steam" event. 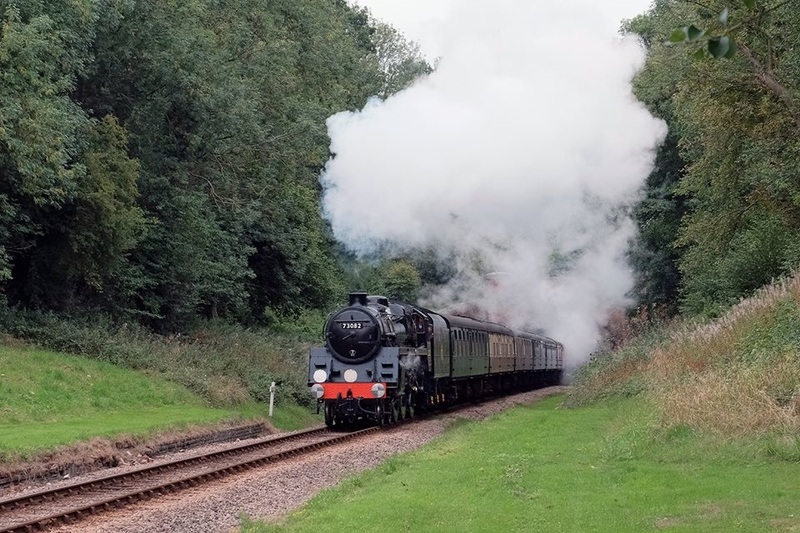 In September, 2018, the locomotive visited the West Somerset Railway and took part in the railway's "Cross Country" Gala Event. 2019, Carriage and Wagon Shop, Horsted Keynes. 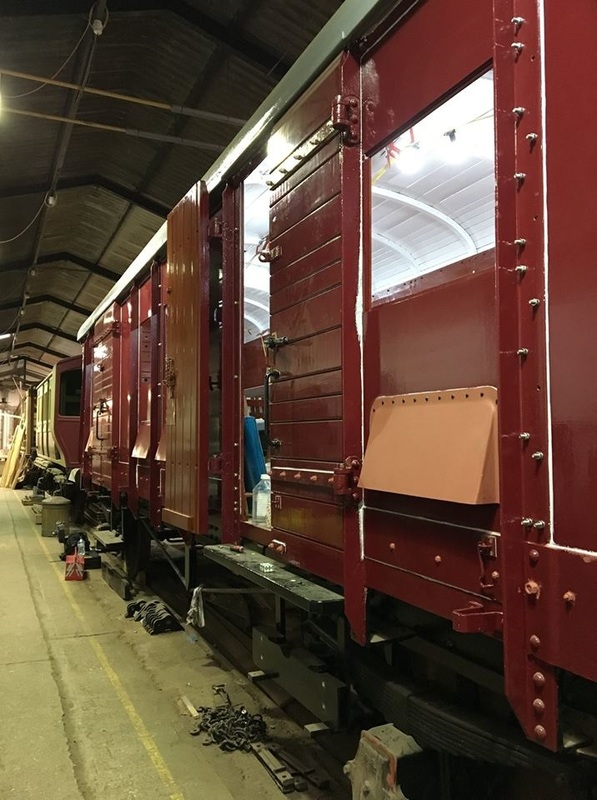 The CCT has recently been restored by members of the Bluebell Railway Carriage and Wagon Department, to be used on demonstration goods trains.